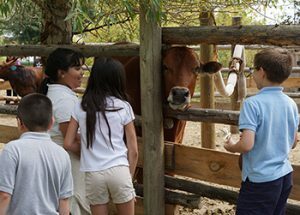 Since 1992, the City of Greeley Museums has produced a living history festival for elementary students with interactive elements and demonstrations illustrating life in Northern Colorado and the American West in the late 19th and early 20th centuries. As a field trip option, the museum is closed to the general public and pre-registration is required to attend. For details and registration, visit GreeleyMuseums.com/HistoryFestival.